December 23, 1988. As our night train to Prague approached the town of České Velenice on the Czechoslovak border, I felt like I was riding the last train of the twentieth century—not glimpsing the twenty-first, but looking back at the nineteenth. Having embarked at the Franz Joseph station in Vienna, I imagined Mahler and Kafka riding this same train a century earlier; the Emperor Franz Joseph Railway had connected Vienna and Prague since the late 1860s, but its formal imperial splendor had long since faded. At the Czech border, searchlights swept the station from imposing watchtowers, concertina wire coiled atop fences along the quay, and the scenic vistas of the Noric Alps southwest of Vienna abruptly gave way to the flat chiaroscuro of communist Eastern Europe. Guards with machine guns and German shepherds walked up and down the passenger cars, checking our documents. Once in Prague, I had to register at the police station and exchange a fixed amount of currency for each day of my intended stay. Inside the apartments of my relatives, behind closed doors, Christmas cheer prevailed, but outside, the Prague winter, so unlike the “Prague Spring” of 1968, clamped its vise-like grip on the city. Within a year, the Velvet Revolution would shatter that vise, the Berlin Wall would lie in shambles, and the Iron Curtain would burst open like a rusty floodgate. Who could have predicted the precipitous force of Grünbein’s “mass collision of historical proportions”? Even during the summer of 1989, as Theodore Ziolkowski notes, “there was no hint of revolution in the air” (“Berlin/Berlin,” WLT, July 2003). Today, looking back twenty-five years, such a collision seems inevitable, but until the moment of impact, few suspected how sudden and total the systemic shock would be. 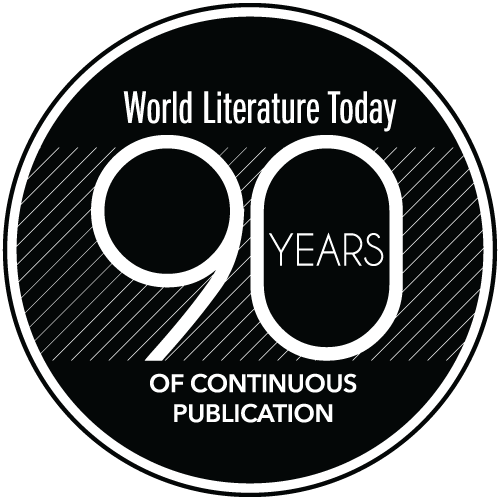 To commemorate that seismic shift, the current issue of World Literature Today features a dozen writers from central Europe who lived through the upheavals of ’89 and whose work reflects a quarter-century of sifting through the debris. Surveying the contemporary literary landscape of Mitteleuropa represented in the current issue, the deep reverberations of the immediate post-wall era seem to have subsided, for the most part, into dispersed tremors. Throughout the Soviet empire, writer-dissidents knew that the greatest manifestation of the East/West divide cut through the heart of postwar Berlin; according to Tomas Venclova, “The Berlin Wall . . . was a truthful symbol (and at the same time an indisputable physical fact), which testified to the nature of the regime in no uncertain terms” (page 33). From republics of “sleep and iron” (Constantin Severin) amid “landscapes of defunct countries” (Julia Fiedorczuk), the events of ’89 convulsed the geography of central Europe into “maps of terrifying, unknown lands” (Ana Blandiana). 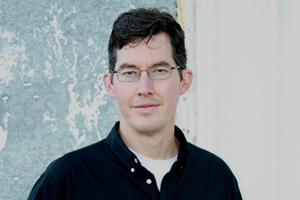 Many writers, turning away from the “empty” narratives of communism (Kurt Drawert) and the “death-zone” of the Soviet bloc (Venclova), goaded their fellow citizens by apostrophizing newly redefined nation-states: “you, Eastern country, swing about / and believe” (Kerstin Hensel). In the euphoria of 1989, “History’s gray gloom” gave way to the “gleeful days” of Hensel’s poem. 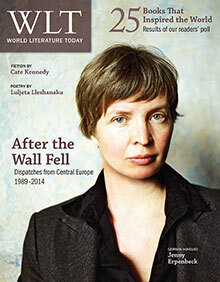 However, the gray gloom quickly returned; in an issue of WLT devoted to “Literature and Revolution in Eastern Europe” soon after the wall fell, longtime editor (and émigré Estonian poet) Ivar Ivask wrote: “Today the conditions of exile fall away for many, walls crumble, divided rivers flow together again. All this is true, but only to a point. In reading the articles in our present issue, we soon learn that in almost every country the initial euphoria has given way to confusion and bitterness” (1991). In 2014 it’s clear that we are far from living in a world without “barriers, borders, and boundaries,” both physical walls and “walls in the mind,” as the editors of After the Berlin Wall: Germany and Beyond (2011) remind us. Still, even as they look back at the “collision” of 1989—when that solid gray mass exploded in a kaleidoscope of radiance—writers continue to imagine our versicolored possibilities.